We asked New York based yoga instructor and board-certified holistic health practitioner Fern Olivia why she encourages her clients to do a juice cleanse and what it is about juice cleansing she loves so much. You may be surprised, but her top 10 ten picks have nothing to do with weight loss! As a holistic health coach, I don’t believe in quick fixes when it comes to weight loss and wellness. We all have completely different bodies and minds, and there is no “one-size-fits-all” cure. Although weight loss is a benefit that can be experienced during a juice cleanse, if that is your only concern, there is a good change you will miss out on the plethora of other benefits. This is why I love Good Life Juice, and it’s founder, Andrea Dershin – she gets it! Although GLJ’s juices support weight loss, it’s not their main focus. Andrea understands that a healthy lifestyle is much more important than any quick fix solution. 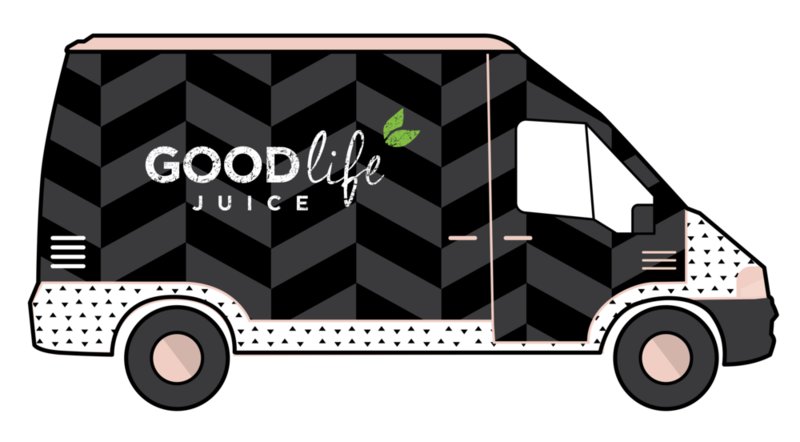 Your ideal weight will come when you are living a lifestyle to support it and Good Life Juice’s variety of cleanses are tailored specifically for your body. With so many customizable options – The Good Life is not promoting "over night anything" but instead is all about supporting your unique body and lifestyle. Here are my top 10 reasons why you should consider doing a cleanse - that have nothing to do with losing weight - and everything to do with setting yourself up for becoming happier and healthier! Eighty percent of our immune system resides in our intestinal tract. When our digestive system is loaded with toxins from inadequate "food," the accumulated waste can create illness and chronic symptoms including aches, fatigue, brain fog, congestion, and excessive bloating. Flooding your body with the nutrients from a juice cleanse gives your body and mind a chance to rest and repair, and your newly detoxified body will be much less susceptible to disease. Cleanses require you to make your mind and body a priority and really dig deep when looking withing. They can also remove many of the toxins that cause skin problems, bloating, and fatigue. You’ll feel and look better from the inside out! Juicing gives the stomach a break from breaking down food and extracting nutrients, which helps to prevent and heal problems that arise from undigested toxins in the digestive tract (bloating, cramping, constipation, inflammation), allowing you to extract and absorb nutrients much more efficiently. If you have trouble focusing, have sudden loss of memory, or anxiety and depression, it may be because your body is full of toxins or heavy metals. Detoxing supports elimination of these toxins and leads to healthier overall body and mind function. If you’ve ever felt sluggish, cranky, or drained, it’s most likely because your body is full of toxins from things such as processed foods and pollution in our environment. Cleansing gives your body a break from trying to digest everything while giving you a boost in energy and clarity, without caffeine! Good Life’s cold-pressed juices are 100% RAW, fresh and never heated or processed. Heating and pasteurizing kills life-giving enzymes and nutrients. Drinking raw, cold-pressed juice means you are consuming something LIVE – live with vital energy and live with healing power. This powerful synergy leaves you feeling instantly refreshed and vitalized! A juice cleanse allows your body to have a start fresh. Eliminating and then reintroducing possible trigger foods gives your body an opportunity to determine what foods may be hindering your digestive system or giving you skin problems. A juice cleanse requires commitment and planning. If you may have fallen off the wagon with your health lately, a cleanse can leave you feeling renewed and motivated to lead a healthier lifestyle. A cleanse can help you learn to enjoy and appreciate whole foods. As you notice your body transform and you feel better without processed food, you begin to lose cravings for things like sweets and junk, and the cravings are replaced for things like healthy, whole foods and fresh juices. Getting out of the habit of comfort eating through the structure of a juice cleanse sets the stage for positive healthy habits. This experience can also give you a chance to reflect on any other bad habits you have that may be deterring your health and happiness! Fern Olivia Langham, RYT, AADP, founder of Yoga with Fern is a New York based yoga instructor and board-certified holistic health practitioner specializing in healing from adrenal fatigue, autoimmune thyroid, and digestive conditions. She works with clients globally and leads wellness retreats internationally with her company Bliss Out Retreats. After years of struggling with chronic digestive and immune issues, she was finally diagnosed with an autoimmune thyroid condition, adrenal fatigue, an intestinal infection and multiple food allergies. She came to her yoga mat to start listening to her body and becoming aware of how each and every choice she made affected her physically, emotionally, and energetically. She woke up to this whole new sense of consciousness and desire to heal her body. Through her work to inspire others to do the same, she has empowered individuals and families to transition to a healthier lifestyle, clear chronic inflammatory symptoms, and build a sustained, lasting state of well-being. Her tools for unlocking your radiant potential include a blend of yoga, meditation, Ayurvedic education, nutrition inspiration, guided lifestyle coaching and plenty of encouragement along each step of your journey. Connect with Fern on Facebook or Instagram, or by email.